All drive bays must be populated by either a drive or a filler. Open the filler lever (panels 1 and 2). 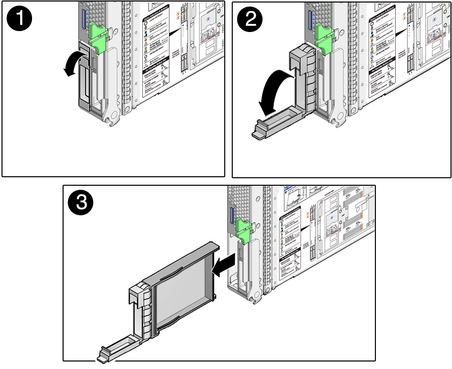 Pull to remove the filler (panel 3).